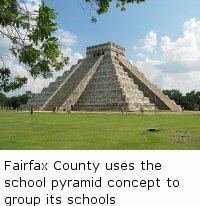 To understand High School boundaries and their relationship with the middle and elementary schools, let’s start by defining the concept of School Pyramids, as they are used in the Fairfax County Public Schools district. School Pyramids are a way to group schools for administrative purposes. 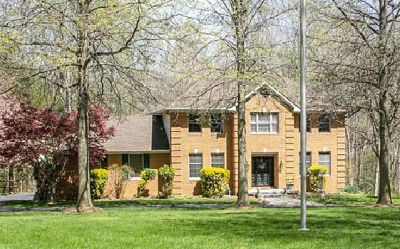 Most School Pyramids in Fairfax County have one High School, one Middle School, and about six Elementary Schools. These eight or nine schools all belong to the same School Pyramid. How are School Pyramids different from School Boundaries?